The AN/TPQ-53 radar system supports counter-insurgency missions as well as high-intensity combat operations. The system is highly mobile on the battlefield; it can be set up in five minutes, taken down in two minutes and supports two-man operation. The Q-53 radar system supports troops in combat by detecting, classifying, tracking and identifying the location of enemy indirect fire in either 360- or 90-degree modes. Lockheed Martin completed the 100th Q-53 radar system for the Army in January and is manufacturing multiple Q-53 radar systems per month. 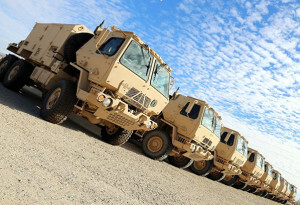 Since Lockheed Martin won the development contract for the Q-53 radar in 2007, the company has won five additional contracts for a total of more than 100 radar systems, 95 systems have been delivered to the Army. With this full-rate production contract award, the Army’s complement of Q-53 radar systems will total more than 170. Over the last 10 years new threats have emerged including unmanned aerial systems (UAS). 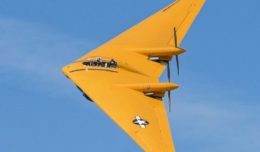 Thanks to the flexibility of open architecture designs, simple software modifications can be made to adjust radar systems, including the Q-53 radar, to meet various missions. The U.S. Army awarded Lockheed Martin a $28 million contract in November for “quick reaction capability to add counter-unmanned aerial system to the AN/TPQ-53 radar system” simultaneous with its core counterfire mission. Work on the Q-53 radars is performed at Lockheed Martin facilities in Syracuse and Owego, N.Y., Moorestown, N.J., and Clearwater, Fla.